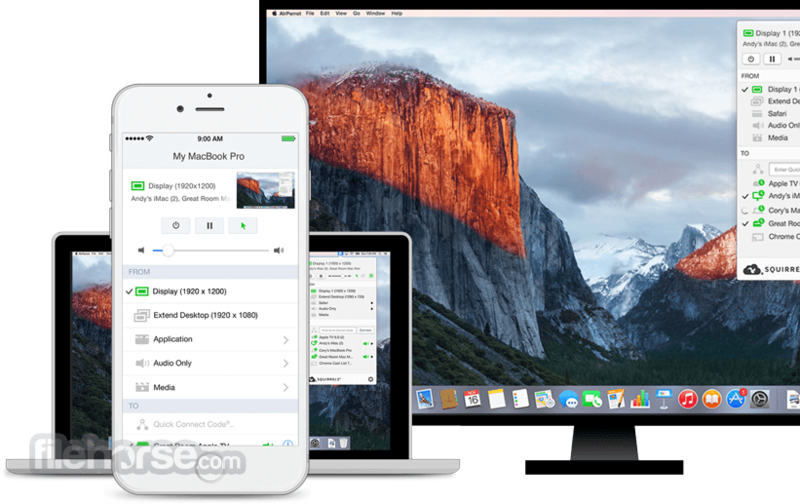 AirParrot for Mac allows you to wirelessly beam your screen or media files to a variety of media receivers. AirParrot quickly discovers available receivers on your network, and uses Quick Connect® to connect directly to a device running Reflector 2™. Easily share your screen, videos, audio, presentations and so much more. Share wirelessly with everyone in the room without the need for cables and adapters. AirParrot gives anyone the ability to share and engage the classroom, boardroom or beyond. Focus on what matters most and send content from any device to a receiver connected to a television or projector. Our patent-pending Quick Connect technology and Bluetooth discovery* allows you to quickly discover and connect to devices, even when network configurations prevent it. Bluetooth discovery not available on Windows. Note: 7 days trial version. Requires Apple TV 2 or later.